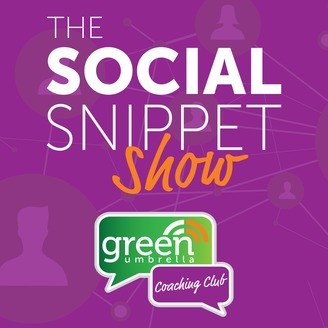 A weekly show giving you the latest news and updates in the social media and online marketing world. 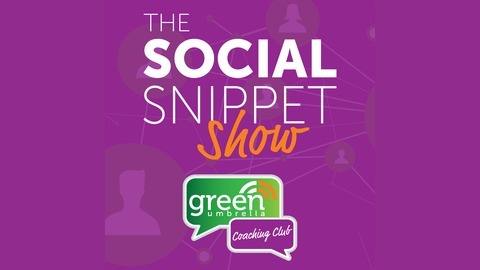 Hosted by Green Umbrella Marketing Ltd.
Did you survive the Facebook/Instagram Blackout of 2019? Sounds like we're not safe yet. Post from Mari Smith:Uhoh--friends, I'm hearing of suspicious activity where people are able to log in to other users' Facebook accounts. 2. Log out of all sessions. 3. Set up two-factor authentication, if you haven't already. 4. Review your list of Authorized Logins and remove any that are no longer applicable. Clearly, the #FacebookBlackout2019 has wreaked a bit of havoc!! Best take control of your own account security, if you can. "...We will replace the single relevance score with three new relevance metrics, update how we calculate potential reach, and remove some other metrics that are used less often. Read the full article here. Swipe left and take a picture or video or even go live on Periscope. Twitter today introduced a revamped version of its camera that’s designed to promote more sharing of photos and videos on the text-centric network. Read more here. Soon the Facebook ecosystem will all be one! Apparently, they are now testing "Facebook Watch" version in Instagram. Instagram may allow you to chill and watch videos together with a friend. " Read more about this test here. Found in the wild, but it now looks like Instagram regular traffic and Instagram stories are now being split on your Google Analytics report. Have you seen this? What sort of traffic do you get from Instagram? If I was a Powerpoint user then this looks amazing! It is a plugin for Powerpoint that makes your slides look rather awesome. (See video below for a demo on how it works). Visit product hunt here. LATEST NEWS: LINKEDIN AND TWITTER RELEASE NEW PODCASTS AND MORE..
Big Changes to Facebook as released during the summit last week and more..